What can I say? It didn’t go to plan. This was my third TT2000. I had done well the previous year and was hoping to do as well, if not better this time around. Perhaps that was where my problems began. 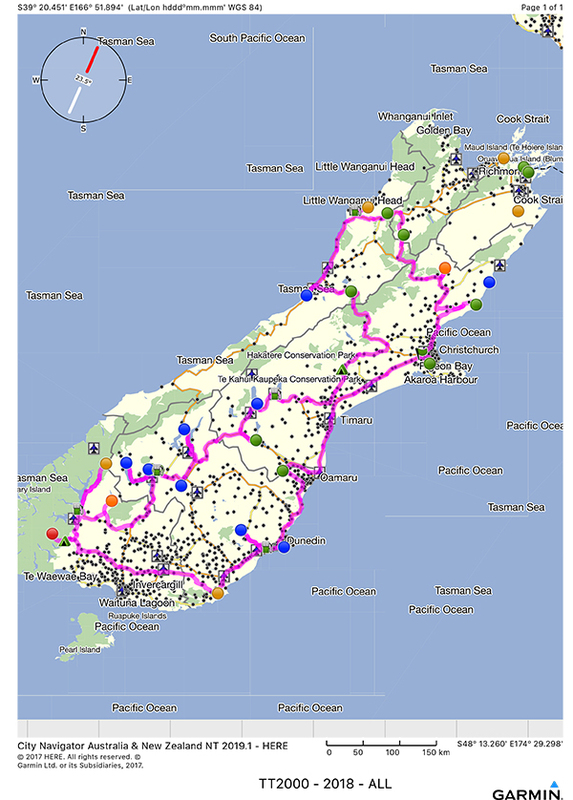 I chose to do the South Island leg. I never get tired of the roads, especially around Central Otago, the MacKenzie country, and Southland. My route would take me to all of those areas, and more. 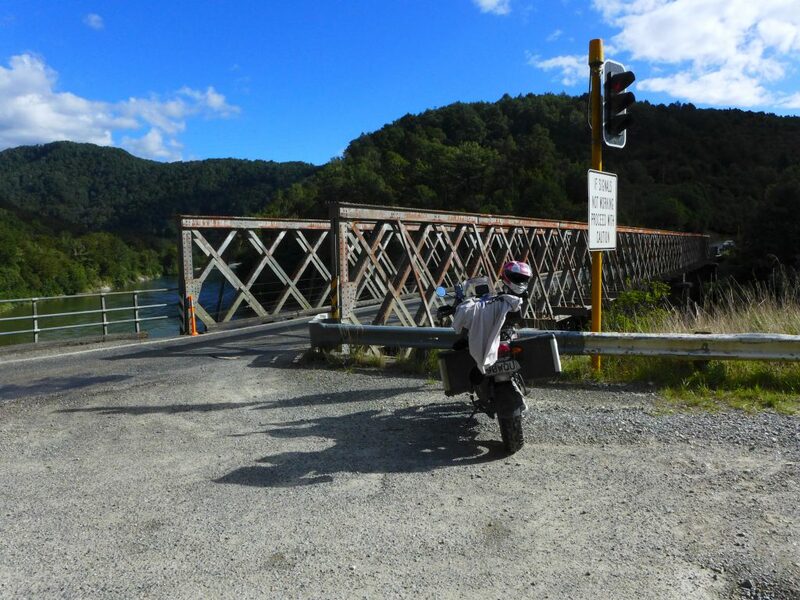 I was especially interested in getting off the ferry and riding down the original SH1 through Kaikoura. That didn’t go to plan either as the week prior to the TT Cyclone Gita struck and caused several slips meaning the slow and long route was the only option to get to the start in Christchurch. I got to Christchurch about 7pm on Thursday night and checked into my motel. There wasn’t much to do that night other than have a bite to eat, check my route for any mistakes (I found none) and try to get a good nights sleep. Friday came quickly. I treated myself to a reasonable breakfast thinking that I probably wouldn’t eat much between then and the evening. I got to the Yaldhurst Tavern around 11.15am which was earlier than I wanted it to be. Not that fussed about standing around comparing bikes with people – I just wanted the briefing to start and the ride to begin. I’m sure I was one of the first to leave the car park, having strategically parked my bike for an unobstructed getaway. 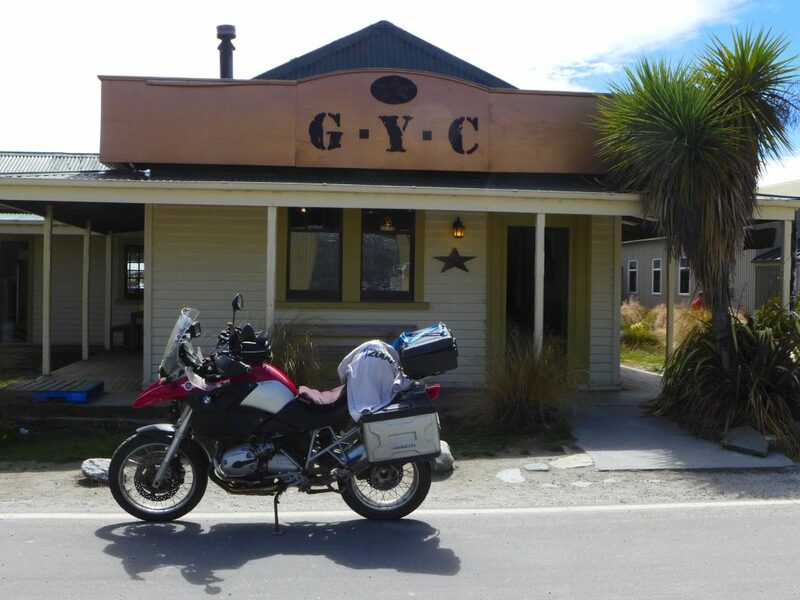 I didn’t see any other riders heading to Random Spur until I reached Omihi in the Greta Valley. One rider ahead of me, and then, after a few miles, another rider behind. I’d had trouble deciding what roads to head down to get to Random Spur, my main aim being to avoid gravel where possible. My Garmin had other ideas and decided that I should turn right down Darrochs Road. 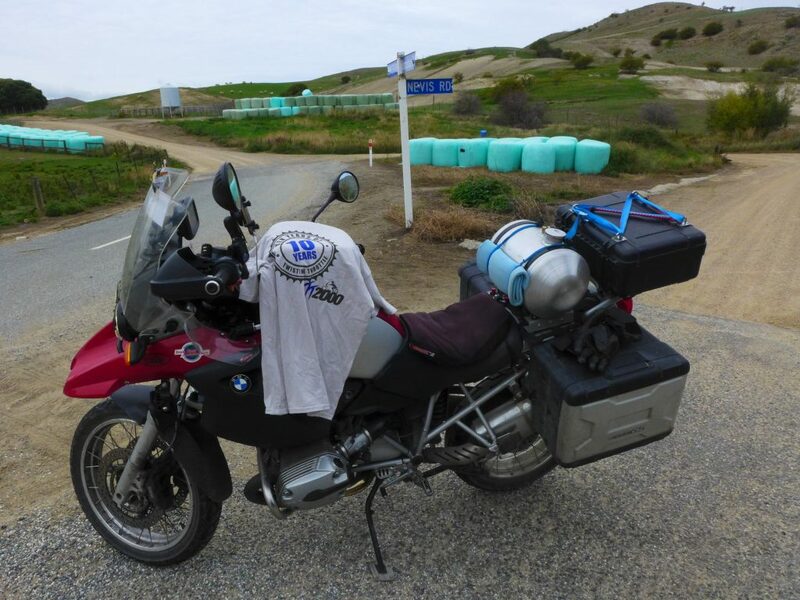 It was unsealed, and as I slowed down to anticipate the corner the bike behind carried on by heading north to the Hurunui Mouth Road. Realising my mistake I did a U-turn and continued on. By the time I had gotten off my bike to take the checkpoint picture there were around 10-15 bikes all lined up (above). I took the photo, did a U-turn and headed off to Rainbow. 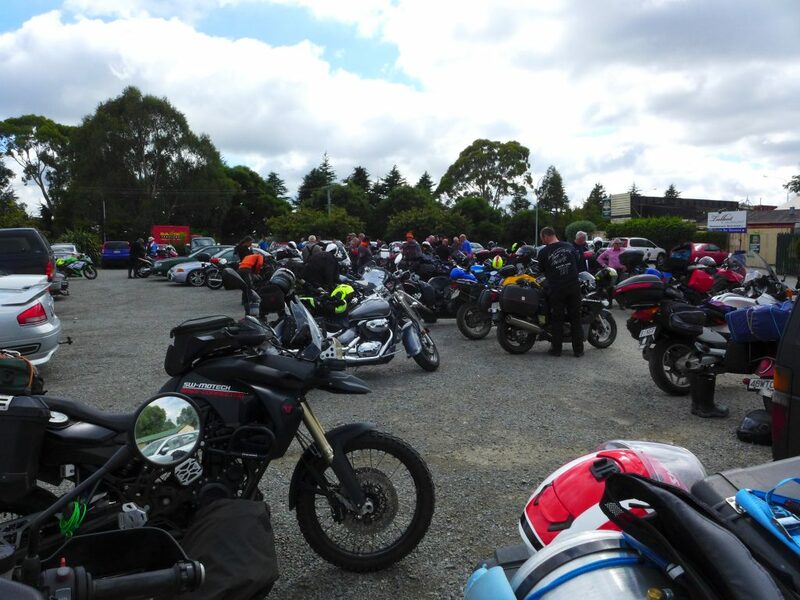 Quite a few of the other riders headed north to take the one of the inland routes through to Waiau. I turned south and zipped through the Greta Valley that brought me out onto SH7 at Waikari. I had figured that it was an easy cruise along very straight roads, and not knowing the condition of the inland highways after Cyclone Gita I assumed this would be a safer, and quicker, bet. The ride up to the Rainbow Road was the first bit of serious shingle. Mark Waterston and Jeff Cowin overtook me, at speed and with confidence, as I carefully navigated the corrugations towards the checkpoint. They were just finishing up as I arrived dead on 3pm. The three of us would end up playing cat and mouse for the majority of my time on the rally. I made it back down to Hanmer Springs without incident, already with 10,000 points on my tally. Everything was going according to plan. 29 km past Springs Junction I passed a Google Street View van. I made a mental note to remind myself to check if I’m on camera. I have, and I’m not, yet! The ride through to Maruia Saddle was easy. One other bike there when I arrived. He left as I pulled up. 12,000 points completed. 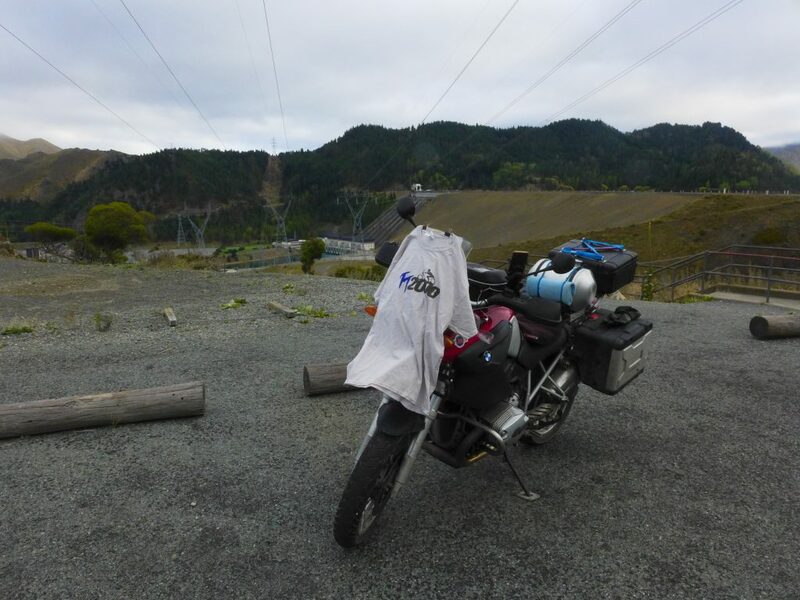 Buller Gorge is one of my favourite roads even though I know there have been some horrific motorcycle accidents on that highway. I came up to the single lane bridge that was the Chapter 26 checkpoint to find two riders waiting at the lights. I gesticulated to them pointing across the road where the actual checkpoint was. They looked at me strangely until I realised they were tourists and had no interest in what I was doing! 14,000 points completed. 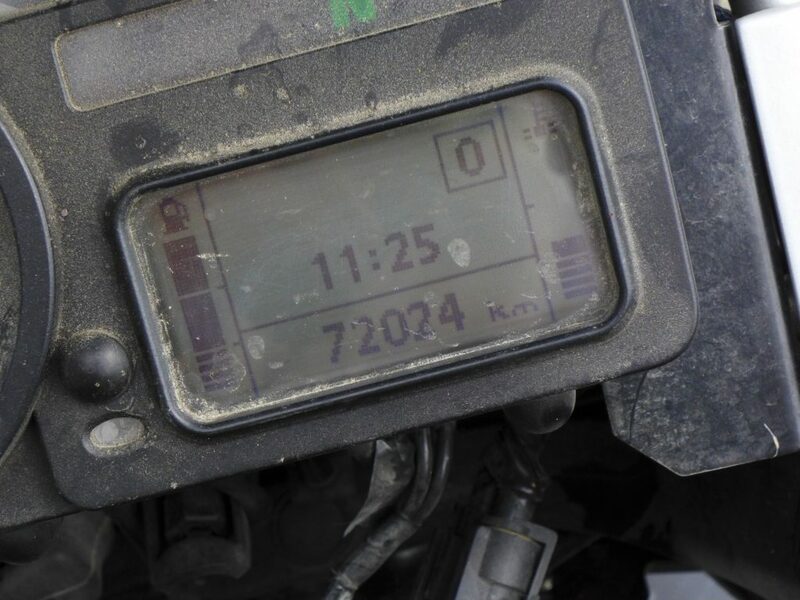 It was 5.30pm – I’d been riding for five and a half hours. 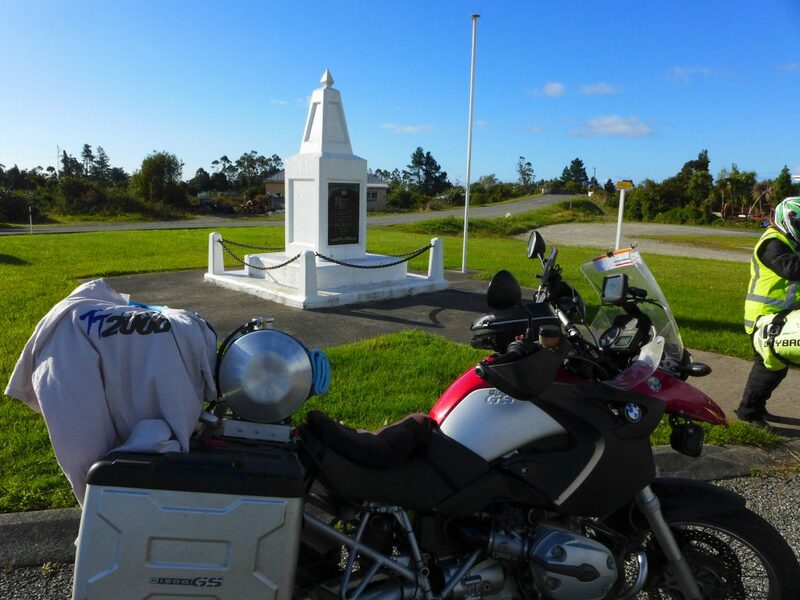 Chapter 26 – Buller GorgeChapter 27 Karamea was next. Nothing to write home about. An easy 5,000 points at the war memorial in Waimangaroa taking my total to 19,000. Two riders (assuming husband and wife) on matching Kawasaki motorbikes were getting ready to leave as I pulled up. The time was 6.28pm. I was getting hungry. I headed south intending to pick up the Lake Mahinapua checkpoint. 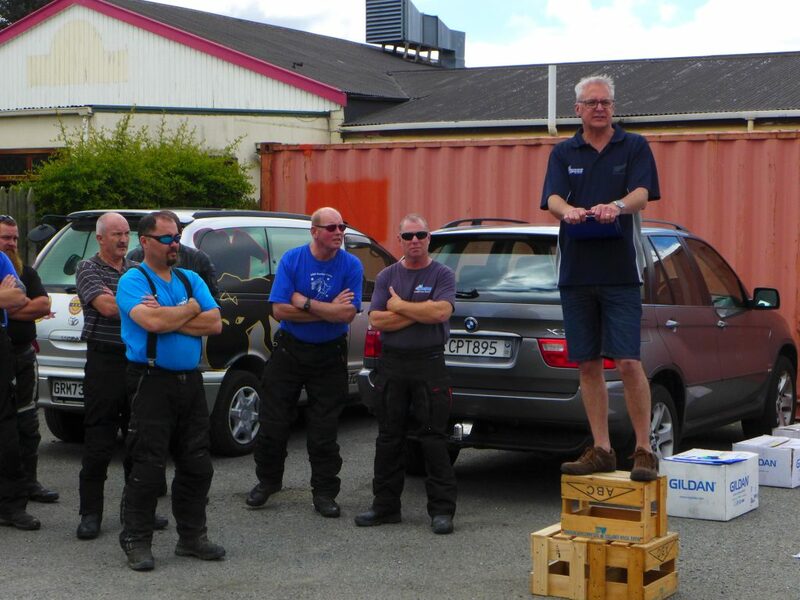 By the time I got to Greymouth I was ready for something to eat – in fact I was starving. Where can you get a quick meal for a reasonable price. Yep, McDonalds! I justified it by the fact that I hadn’t had any substantial amount of food since 9am that morning. My GPS was working flawlessly taking me right to every checkpoint. The entrance to Lake Mahinapua was delightful. A tunnel (literally) of native trees, and once out of this tunnel I emerged at a campground by the lake. I couldn’t find the checkpoint at first, so did a few circuits of the campsite until I realised I needed to head a bit closer to the lake. There was the shed with the ‘boat’ inside it. Actually, I have no idea what the checkpoint was. It looks like a boat in the photo – there was no time for me to muck about and read the tourist signs. As I was getting ready to leave, a tourist, possibly German, came over to chat. I had earplugs deep down the ear canal and couldn’t be bothered taking them out. After a few gesticulations and charades I worked out that he wanted to take my picture. Is there something special about me? The very same thing happened at Geraldine Z last December, except that time it was a Japanese woman wanting to take a photo of me with her husband. Obviously my rugged good looks impresses people, and there are now at least two people from the other side of the world, who I don’t know, who are showing their friends and family pictures of me!! By the time my photo had been taken, and by the time I took mine the time was 9pm. It was nearly dark and I had 21,000 points under my belt. Now, we’ve all heard the stories about tourists driving badly in New Zealand. A lot of it is hearsay and some is based on real-life experience. On this ride I was impressed, in a bad way, at the number of camper vans on the road, all (without exception) driving too slow. I reached Hokitika and was heading north out of town. There’s a very long stretch where the speed limit seems to be 50kph for ages. I was riding along very sedately when a car coming towards me in the other lane was rapidly flashing their lights. It took me a few seconds to register that there was another car coming straight at me, in my lane! They weren’t going fast, but fast enough that realising the error of their ways they pulled to the right (fortunately) as I did the same. We easily avoided a collision, but I couldn’t help thinking how different that could have been if we’d both been on the open road at a faster speed. I was too much in a hurry to do a U-turn, catch them up, take their keys, and throw them down the nearest drain. 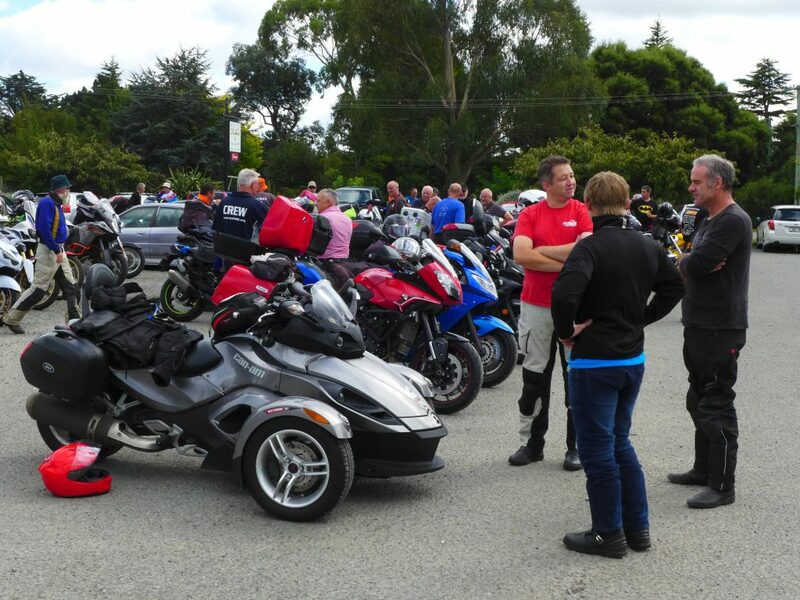 At the start of the rally I’d had a conversation with Mark Waterston about how he and Jeff were going to head down the West Coast to pick up the Haast checkpoint the following morning. He reckoned it was going to save them around four hours of travel time. I told him I intended to travel over to Jacksons Hotel to pick up that checkpoint, then take the inland route, staying at Mt Somers for the night then on to Tekapo early Saturday morning to collect Pukaki, Benmore etc. At the time I had no idea which route would be better or what advantage it would give either of us. I arrived at Chapter 34 – Two Passes at 9.50pm. This was the last check point for the day taking my Friday tally to a respectable 23,000 points. I was 45 minutes ahead of my schedule! 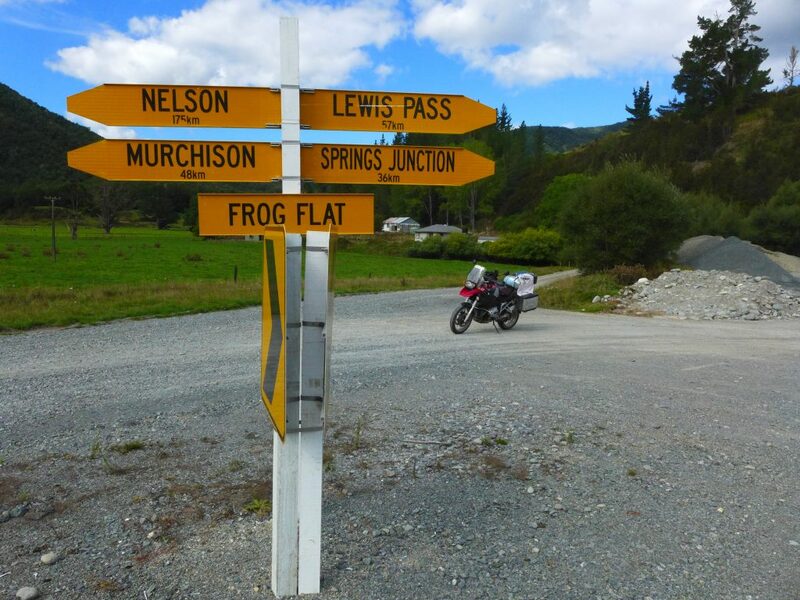 I’ve ridden over Arthurs Pass at night several times, most recently on the 2017 TT. It was getting cold so I stopped at the general store at Arthurs and put my rain suit on to protect me a bit from the chilly night air. A huge truck and trailer unit, driven by a young woman, had stopped to deliver bread to the store. We waved to each other. I did an extended-mix version of the “rain suit dance” not realising that I was trying to put it over my Camelbak. I eventually worked out what was going on, took off my Camelbak and secured it under some tie downs at the back of the bike. On my way again. I headed to Mt Somers to camp for the night in the domain. My great grandfather had owned the first general store here in the 1880’s. There’s even a railway siding there called Doak’s Siding, despite the fact that the railway is long gone. I snuck into the campground as quietly as I could around 11.45pm and began to get my camping gear ready. There was something hanging off the back of my bike. I shone my headlamp down to find that my Camelbak had come ‘undone’ from my rear carrier and had been banging around between my rear tyre and the rear mudguard. The bag that the bladder sits in was completely shredded but the bladder was intact. How long it had been hanging there I have no idea. I was just fortunate it hadn’t wrapped itself around the wheel. I pitched my tent and fell asleep. Because I was ahead on time I decided that I’d take the advantage of a longer sleep and set my alarm for 5.30am. When I woke in the morning and started to pack up (quietly) I could hear running water. There was a stream nearby. I looked around in the less-than-half-light of the morning and could see a ring of detritus a wee way further up the slope from where I had pitched my tent. No wonder my tent pegs were easy to push into the ground – I had set camp below the flood line from Cyclone Gita the week before! My fuel stops were planned to the nearest detail. 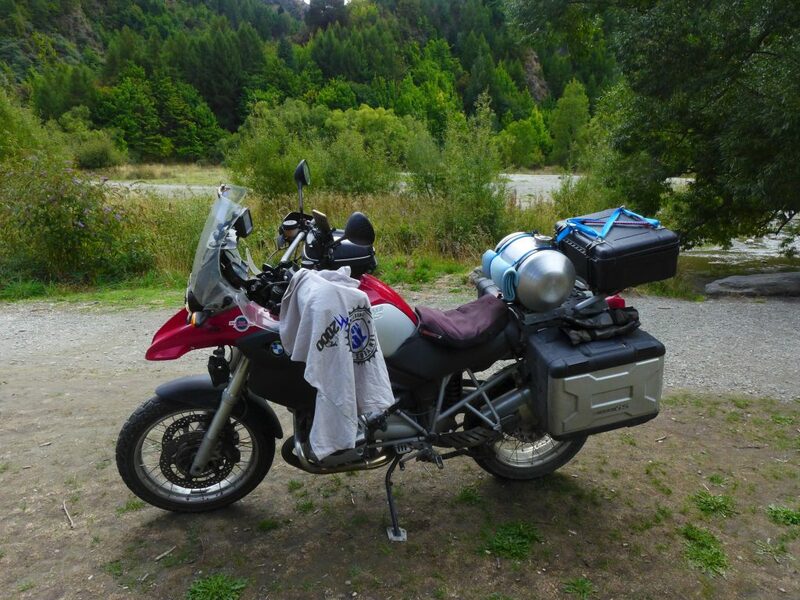 With my recently installed auxiliary fuel tank the bike was capable of a 600km range. I’d filled up in Westport and my next scheduled fuel was Tekapo. The only fly in the ointment was that there was a bridge out between Geraldine and Tekapo and I had no idea what the detour would add to my trip. In fact, I hadn’t planned the detour at all. I reached the “Road Closed” sign at about 6.30am. I guessed (and a map kind of confirmed it) that there was a possible detour if I turned right. I had no idea where I was going but I knew I had to find a way across the river. Following my Garmin’s instructions, which was re-calibrating my route as I rode, I headed off only to find the road the Garmin was recommending was CLOSED. Things were not looking good. It seemed that there were few options available for crossing the river and that I might have to return to Geraldine and go the long way round along SH8 through to Fairlie. I had one last crack, did a U-turn and headed back the way I had come and tried the next road I came to. This quickly deteriorated into a single lane dirt track through farmland. To my surprise, after around ten minutes of riding, I got the sense that I was very close to the Geraldine Fairlie highway. Sure enough, after a few more tight bends, I emerged onto tarmac. Another right turn and I was heading over Burkes Pass with virtually no traffic. I had a very quick and uninterrupted trip through to Tekapo. I filled up at the village and tootled out to Chapter 37 – Cloud Piercer. I’d been here in December in almost exactly the same weather conditions. Beautiful clear skies with amazing views right down Lake Pukaki to Mt Aoraki. There was no-one else at the checkpoint. The time was 8.19am and I now had 26,000 points. Things were going very well. The ride up to the Benmore Dam is a great jaunt on a beautifully formed road that gets little use. There was a group of elderly cyclists struggling up the hill. Most of the group were already on top of the dam and I waved to them all as I idled amongst them. As I was setting up my shot at Chapter 38 – Black Forest, a husband and wife team pulled up. I had passed them only a short time ago and at the time wasn’t sure whether they were on the TT or not. We said a quick hello/goodbye and I was soon on my way again. It was 9.09am, and I now had 28,000 points. 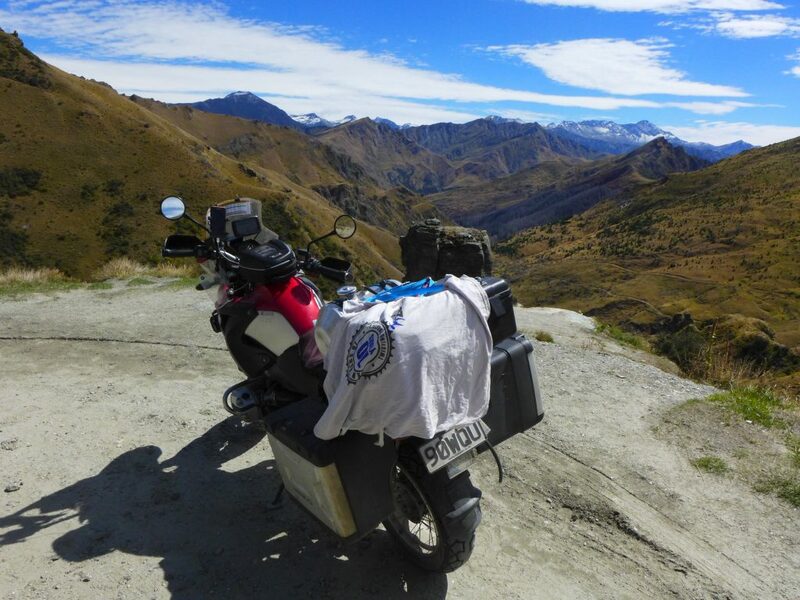 It was a beautiful ride over the Lindis Pass along SH8. I turned right at Tarras and headed along SH8A towards Lake Hawea. The GPS suggested some short cuts along some straight gravel roads. I took them, convinced that they were actually saving me time. I have no idea whether that was actually the case. 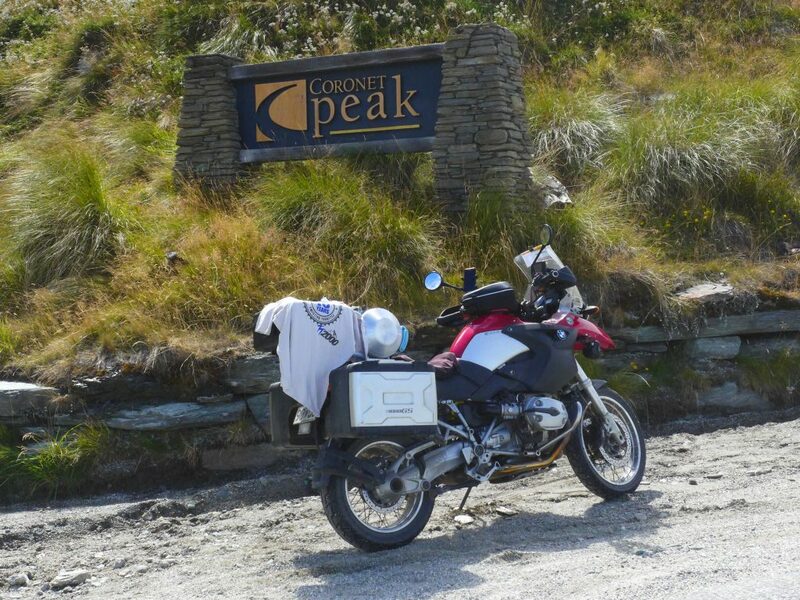 I picked up the 3,000 points at Chapter 36 – Haast Pass arriving there at 11.06am. There was a lot more traffic on the road, and as I was taking my checkpoint picture a couple of TT riders pulled up coming from the West Coast. My points were now sitting at 31,000. There was no doubt that I was going to nail the points tally and have a very successful ride, but it all depended on how much sleep I was prepared to forgo on the Saturday night. From Lake Hawea I retraced my steps and headed back through Cromwell and Bannockburn to the start of the Nevis. 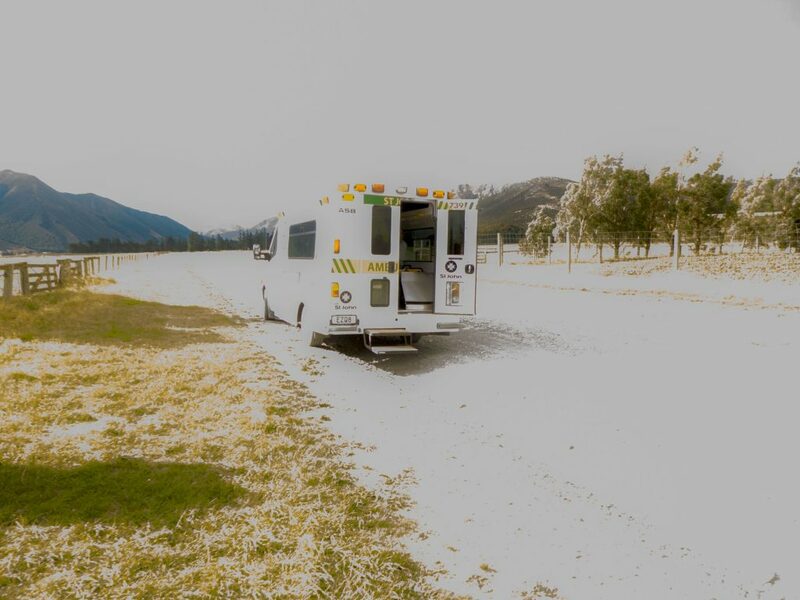 This was the Chapter 45 – Nevis checkpoint. There were a couple of other bikers there. As I found a good spot to park up for the pic Mark and Jeff turned up, took a pic and were off before I had finished. Points now 34,000. Time was 12.14pm. 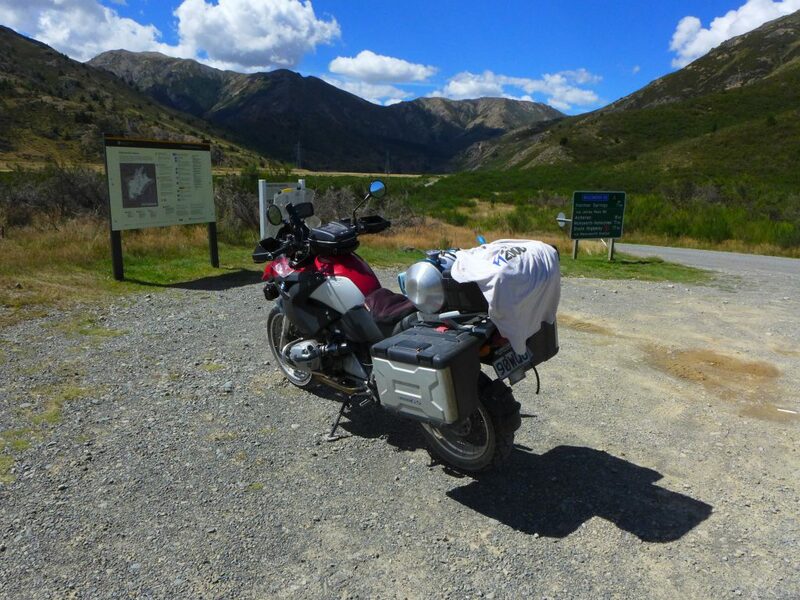 I headed off to Arrowtown where I had planned to refuel and get the next checkpoint. There was supposed to be some big roadworks through the Kawarau Gorge which could potentially lead to a 20 minute delay. The risk of waiting was worth it, and I hoped I’d strike it lucky and get through without a delay. As it happened, there were roadworks, but no stop/go man. Plain sailing albeit a little slower than normal. Arrowtown! Holy heck! Talk about busy. And this isn’t the main holiday season – or at least I didn’t think it was. Checkpoint 43 – Wakatipu was down through the Arrowtown carpark near the river. The carpark was chock-a-block with cars. I managed to squeeze the bike between a couple of bollards and took the photograph as close to where I thought the checkpoint was supposed to be. It was 1pm and I had 36,000 points. I filled up at the RDP self-serve station at Arrowtown thinking that everywhere in Queenstown would be busy. Oh, how I was right about that. Next stop was the long and winding road up Coronet Peak. Stunning views, para-gliders, and quite a lot of traffic. Took my pic, and added another 2,000 points making the total 38,000. Only 12,000 points to go, and a long ride back to Christchurch. Skippers was next. Hats off to all the road bikes that went to that check point. It could hardly be classified as a road – more like a ledge carved out of rock. Stunning scenery and so worth the effort to get there. I was really enjoying this ‘gravel’ business. Time was 1.34pm and I now had 41,000 points! On the way into Skippers I met Mark and Jeff. We’d been leapfrogging each other the whole way. We had a very brief conversation about stopping in Glenorchy for a coffee. I agreed to this – a caffeine shot was definitely something I could do with. However, the best laid plans are made to fail, or something like that. The ride through Queenstown was tortuous. So much traffic. I can’t understand why anyone would want to live there. And I was seriously wondering about how sensible it was to go all the way to Glenorchy just to turn around and have to suffer Queenstown traffic again. Surely this was going to slow the progress markedly. Glenorchy, and the road there, was inundated with slow-moving tourists. Slow moving tourists all over the road. I tried to keep my cool but the weather was warm and I have to admit my fluster level was increasing. Mark and Jeff were riding out of Glenorchy as I arrived. They were obviously as annoyed as I was and so I didn’t mind that our coffee ‘date’ was off. I really hoped that the effort to get these points wouldn’t be wasted. I arrived at Checkpoint 44 at 2.35pm. I took the picture as quickly as I could and got the hell out of there. 44,000 points under my belt and I’d been on the road (including sleep) for 26 hours. Things were looking really good. I worked my way slowly back to Queenstown, then through the thick afternoon traffic to the Frankton roundabout. I was lucky to strike a GREEN light at the roadworks over the Kawarau River bridge and had a straightforward ride through to Garston. My next stop was going to be the 8,000 points at Chapter 48 – Von Mavora. 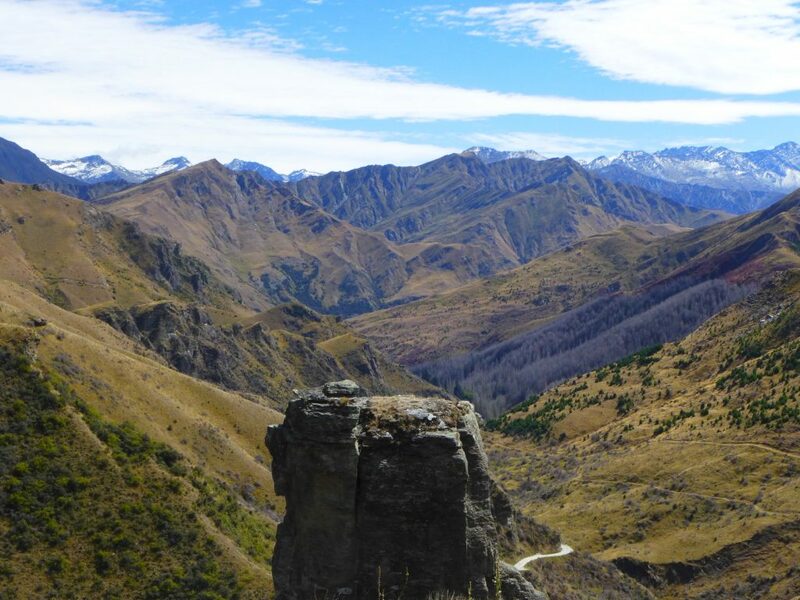 I did the Mavora Road through to Walter Peak, and then onto the Earnslaw back to Queenstown about four years prior. It’s a great ride and so I was confident that this was all going to go according to plan. Nek minute….a thick patch of gravel caught the front wheel and the handlebars started to move side to side. My first reaction was DON’T SLOW DOWN – so I gave it a bit more throttle thinking I’d be able to pull through. Nah, that didn’t work. The handlebars slapped a bit more, and then I was down on my right side sliding along the road. The rear right pillion peg dug into the ground and ground the bike to a halt which then spun away from me to the right. I continued sliding for a bit before rolling to a stop in the middle of the road. F**K! F**K! I lay there swearing at myself, and challenging my body not to hurt so I could carry on. The bike was about 5m away and the engine was still running. Then it stopped. I got up and realised that my right hand in quite a lot of pain. My fingers were still working but I had to hold my arm up. One of my panniers had come off so I picked that up (with my good hand) and moved it to the side of the road. The bike looked OK until I realised that one of the rocker covers was damaged and there was a big pool of oil, getting bigger, leaking out onto the road. I sat down on the pannier to think about what to do. I was in the middle of nowhere, but I did think that there would be riders ahead of me who would be on their way out of Mavora. I wasn’t wrong. I only waited about five minutes before Jos Auker-Woor came along on his Can-Am Spider. At about the same time from the opposite direction an elderly man towing a caravan, and a woman towing a horse float, also stopped to see what they could do. It took the three of them to pick the bike up (they weigh a ton) and push it to the side of the road. Jos got on the phone immediately (yes, there was cell coverage) and called 111, which I remember feeling grateful about, but at the same time a little perplexed that my accident warranted that much attention. How silly of me. After a short while the caravan and the horse float continued on their way. Jos was still on the phone. I looked down the road towards Mavora and the 8,000 points that I now had no chance of winning and saw a dust plume from two other bikes. It was Mark and Jeff. The four of us had a discussion about what insurance company I was with. I’d changed providers a couple of years earlier and couldn’t remember without scrolling through my contacts on my phone. It was KiwiBike. Jos phoned their Roadside Assistance who, I have to say, were amazing. Next on the scene was (I think) Graeme Lowen on his GoldWing. (I had incorrectly identified him as Johan Hendriks). I had fantasies of sitting on the back of the GoldWing and heading to the nearest town for medical attention but then Jos informed us the ambulance would be arriving in around 30 minutes. It seemed to take less time than that. The female paramedic got me sitting down and carefully took my gloves off. Because of the warm weather I was wearing light-weight GoreTex gloves that didn’t offer much protection from anything other than draft. Once the glove came off my right hand it was obvious that there was something broken. I’m pretty sure had I been wearing a glove with better protection I would have suffered the same injury. They put me in the back of the ambulance. Mark, Jeff, Jos, and Johan were amazing. They packed up as much of my gear as possible, and sorted out the keys (one key had to stay with the bike for collection). I can’t thank them enough!! This was effectively the end of my TT2000 for 2018, but the story doesn’t end there! The ambulance took me to Invercargill hospital. They gave me a shot of morphine early in the journey and I had a rather pleasant 90 minute trip making good conversation with the paramedic. 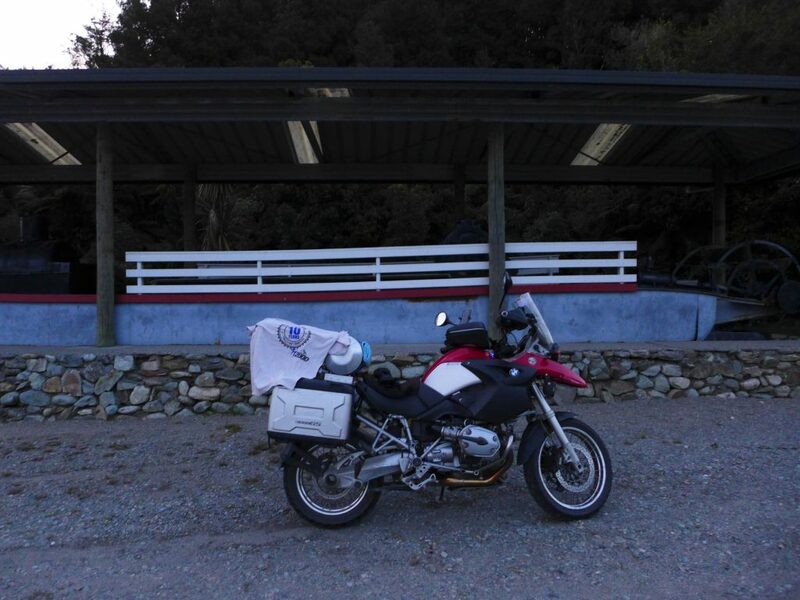 KiwiBike phoned to say at my motorcycle had been collected and was under lock and key at Te Anau Caltex. I was under care, and the bike was sorted. All that was left was to let the family know that I was a bit battered, but alive. I decided that it wasn’t worth phoning anyone until I knew what was happening with my arm. We got to Invercargill at around 6pm. I was wheeled into the ED on the stretcher, and a nurse informed the ambulance crew that there were no beds and that I should wait out in the waiting room with all the other ‘sick’ people. So, there I sat in a wheel chair, cradling a broken arm wrapped up in a cardboard splint, and high (not really) on morphine. I had another wheelchair next to me that held my panniers, a big dry bag, my motorcycle jacket and a damaged-beyond-repair helmet. No one checked my injuries. There appeared to be no triage. I sat waiting in a very long line to be seen by the staff. A steady line of people came in with various ailments, none of which appeared more serious than mine. A hyper-active man in his twenties, with a damaged foot (it looked ok to me) careened around the waiting room in his wheelchair. He banged into me a few times before I had to tell him to watch what he was doing. His girlfriend brought him a pie and an energy drink from the supermarket which added to his hyperactivity. Then the girlfriends mother turned up to complain to her daughter that she couldn’t get her grandchildren to sleep and that it was about time the daughter came home and took some bloody responsibility. I sat in the middle of this conversation, holding onto my arm, trying to make time go faster. After three hours the morphine was starting to wear off. I began to feel nauseous and, because I was in a wheel chair that I couldn’t move, I yelled out to the nurse behind the counter to bring me a vomit cup. She looked over at me as if it was the first time she’d noticed I was there. The bucket arrived and she apologised for the long wait and assured me that I was next in line. Three or four patients with minor ailments later I was wheeled back into the ED. A nurse took off my temporary splint and said “Goodness, that looks really bad!” The time was around 9pm. 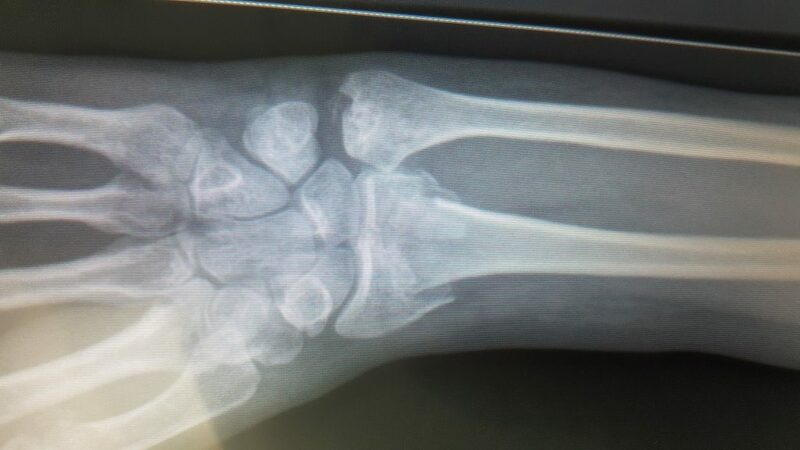 I had an X-ray and it was discovered that the end of my radius bone (wrist) was broken in three pieces. It’s called a comminuted fracture. An operation was likely but in the meantime they needed to manipulate the arm back into some sort normal state, and then stabilise it in a cast. The manipulation they decided to attempt was called the Bier Block. It was originally developed in 1908, fell into dis-use, then became popular again in the early 1960’s. It involves applying a tourniquet (in my case around the right bicep) then injecting local anaesthetic into the arm to completely deaden it below the tourniquet. And deaden it they did. I couldn’t tell where my arm was, whether it was elevated or hanging down, or even attached to my body. The doctor in charge, and a house surgeon, pulled and manipulated the wrist into place and, once they were satisfied, a nurse plastered the arm. The tourniquet stayed on for another 20-30 minutes to prevent the local anaesthetic from heading off around my body. By about 10.30pm the procedure was finished. I was sent to a bed, in some discomfort and suffering from a lack of food, and a fair amount of shock to my system. Morphine was administered regularly throughout the night. Sunday I woke up to one of my machines beeping. I thought if I can hear that I must be alive! It continued to beep for an hour or more. Eventually a nurse came to see me. “How long have you been here?” she asked. “Where are you going to discharge me to?” I asked. I knew no-one in Invercargill, and had nowhere to stay. “Can’t I stay here until my flight leaves?” My wife had organised a seat on the last plane out of Invercargill. “No, we need the beds”. “Yes, I think if I were you, I’d go to the airport. It’s new!” she replied. And so, with the lack of suitable facilities at Invercargill Hospital my fate was decided. A cab was called. I was taken first to the Countdown Pharmacy to fill my prescription, then to Invercargill Airport. My cab driver, a woman in her seventies, played country music. When I asked if she’d ever been to the Gore Gold Guitar Awards she told me no, never, even though it’s a 40 minute drive up SH1. What’s more she told me that she’d had an operation on her foot eight months earlier. She had a really bad limp so I was quietly pleased to be escaping the surgeon’s knife at the Southland DHB. I waited a long, and painful six and a half hours for the last flight to Wellington, via Christchurch. The Air NZ staff on the ground were great, helping me on the flight, and letting me stay on the plane in Christchurch while it was being cleaned for the connection to Wellington. The Air New Zealand sales team that my wife spoke to were less than accommodating. I couldn’t get a compassionate fare – I would have had to have been dead to get one of those – and I had to pay excess baggage because I had three pieces of luggage. Still, I had a seat and I made it back to Wellington. Three days later Wellington Hospital decided they could help me improve my outcome by operating on my wrist. I spent the whole of Wednesday (four days after the accident) having a piece of metal and eight screws inserted in my wrist. Firstly I want to thank Jos Auker-Woor. I have a confession to make and let me apologise to you in advance Jos. On the 2017 TT you came home with a higher total mileage and a slightly higher point tally than me in the 2017 TT and I was very uncharitable about the fact that you were riding on three wheels, and not two. As I carefully navigated shingle roads I remember at one point you hurtling past me flat tack and thinking what an advantage you had over the two-wheeled riders. Now I don’t give a toss about how many wheels anyone has. I want to thank you so much for being the first on the scene of my accident and taking control of the scene. You phoned the ambulance, you phoned my insurance company, and only the other day when I finally got around to sorting my gear I found a note with your phone number on it in one of my panniers. You’re a top bloke and I’ll always be appreciative of that. 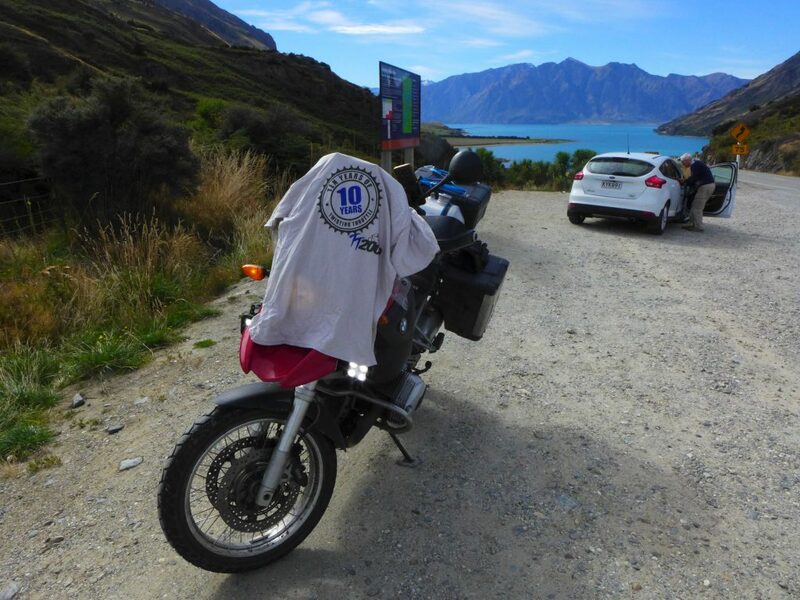 Mark Waterston and Jeff Cowin – the Africa Twin riders! They were second to the scene and helped sort all my gear into my panniers and made sure I had everything off the bike that I might need for the following days. We must catch up for that coffee we missed at Glenorchy. The mystery GoldWing rider who I think was Graeme Lowen – was fourth to the scene. By the time he had arrived I’m pretty sure I was lying in the ambulance, but I have no doubt he helped the others sort the situation. Butch Sproull – what a legend. Butch wasn’t on the TT but agreed to go around to the Caltex in Te Anau and help them remove my GPS mount, some spotlights, my auxiliary tank, and a few other odds and ends. When I phoned him to ask how I could repay him he refused all offers. Thanks so much Butch! 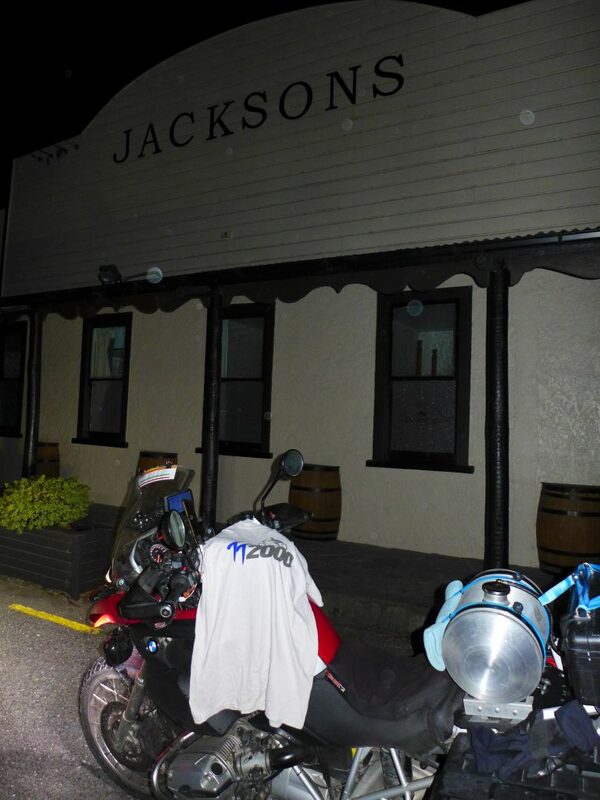 I’m going to make the effort to drive (not ride) to Te Anau and collect that gear, and shout you a beer. 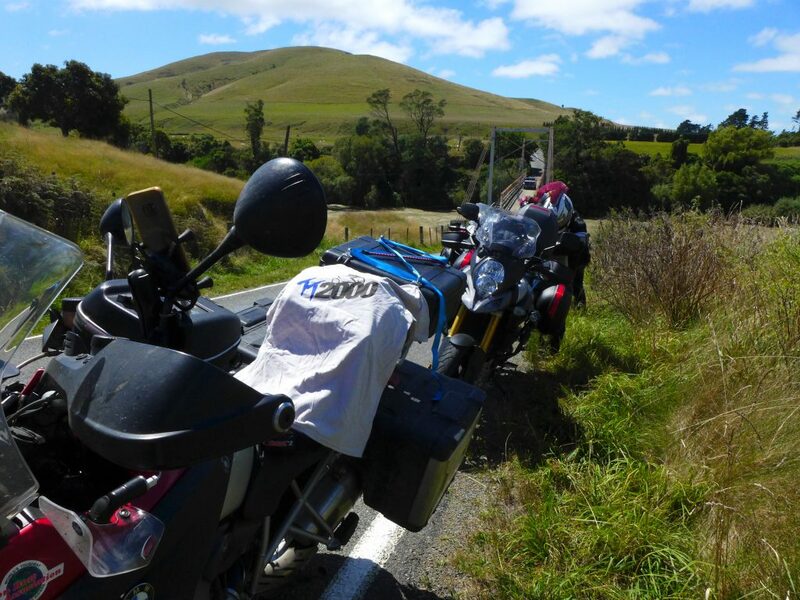 KiwiBike Insurance – the recovery process was straightforward. 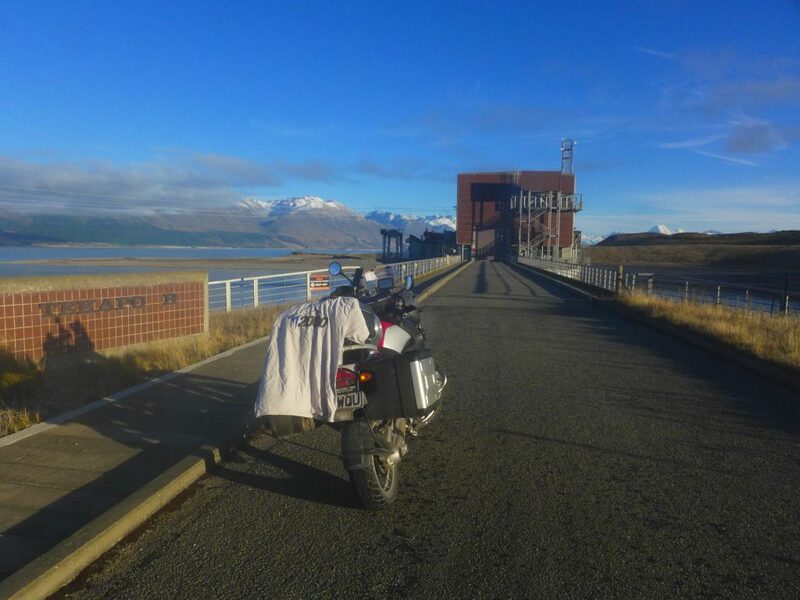 My bike was collected and deposited at Te Anau before I arrived at Invercargill. They paid the claim on the total loss of the bike really quickly and while it’s never what you believe the bike is worth it’s still great service. Invercargill Hospital – it might sound like I was a little unhappy with Invercargill hospital staff. I wasn’t. They did the best they could with the staff they had. There were some exceptional people there, and some that were not so exceptional but I survived, and I’m alive. Wellington Hospital – can’t fault anything they did. I’d never had a general anaesthetic in my life but my first experience was a joy – almost the best sleep I’ve ever had!! Thanks to the surgeon who I believe has done a great job. Lastly, here’s what could have been for my 2018 TT2000 journey. I was hoping for a high ranking. Certainly I was wanting to beat Jos 😃. It gives me some comfort that I was helped by many of the riders that were either at the top of the pack or close by. If I had only been more cautious then I could have been there too. I shed a wee tear reading this in sympathy with your ordeal,- the pain and not finishing, but I balled my eyes out when I read they’d taken you to Invercargill. It bought back memories of being trapped there for 3 days in a big snow storm. A cold, bleak, city with a dark heart and a very good truck and motorcycle museum. Thanks for sharing your ordeal. Hope you’ve healed up OK.Great write up Allan. Well that was a pleasant read Alan. If you have a penchant for gravel roads, perhaps you might want to try the next one on your polo horse? From your map it looks like Denniston was an option. It wasn’t far off your track so why didn’t you do Denniston? And as for Campers …my late friend Ron always referred to them as maggots, since they are white and crawl everywhere. We saw few of those on the Nth Is roads. *Sigh* …motorcyclists are such foolish fools. The scars are probably still crusty and the morphine withdrawals still bringing on the odd shiver and already the man is talking of next year’s TT! What about the NI1600 and 1KC?! I don’t remember seeing Denniston on the list. I’ll be pissed off if I missed it. And don’t get me wrong, NI1600 is always the highlight of my year! Great write-up Alan. You sure went out of your way to come up with an adventurous tale. Very glad that you’ve come through everything fairly well and that you had the right people there with you when you needed them. Andrew – thanks for the compliment. TBH I have looked at a Tenere and they just don’t do it for me. I’m an old dog that can’t be taught new tricks. If it was going to be a Yamaha it’d be more likely to be an FJR1300, but Stretch hasn’t convinced me there either, and even though I’m clearly rubbish on gravel I still enjoy the occasional jaunt across mountain passes. Well didn’t say FJR not a great bike much like the ST both bikes on the right roads take some beating, I’m a tall chap like yourself and find myself “shoe horning” myself on it, I’m giving some serious thought into getting a triumph explorer nice tall bike and also a tad lighter than the FJR. Sorry Stretch! I’ve heard so many good things about the FJR. You’d look good on an Explorer!